Looking for a Professional Beachwood Garage Door Repair Company? Professional garage door repair services in Beachwood, New Jersey are merely a call away. ASAP Garage Door Services, a company that services the entire state of New Jersey, is now offering professional services in Beachwood too! Rest assured, we do not sublet garage door repair or installation tasks to third party contractors or companies having little or no regard for the money you pay. Are You Looking For The Biggest Garage Door Repair Company In Beachwood? No, we are not the biggest company around here. We never wanted to be the biggest. 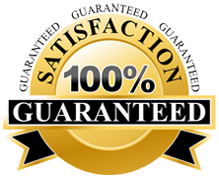 Our fundamental aim is to be the best garage door service provider in Beachwood. We want our customers to remember just how impeccably our garage door experts executed a repair or installation job at their premises. What Makes ASAP Garage Door Services Different? It’s our temperament. We want you as a long term customer in Beachwood. We hire the best and make sure that each one of our customers we serve becomes a brand ambassador after having watched our people at work. Over the years, our expert garage door technicians in Beachwood and several other neighborhoods in NJ have fixed countless mechanical problems in garage doors, replaced springs, installed new garage doors and fixed faulty openers. We’ve a central service quality monitoring system in place, helping the management ensure each task, small or big, is executed to perfection and 100% satisfaction of a customer. Today, we’re counted among the best garage door repair companies in New Jersey and we make sure each one of our in-house professional technician lives up to the name we have earned over the years. How to Hire Garage Door Repair Company in Beachwood? Dial 732-322-8877 and ask for a FREE estimate. Internet users may also ask for quote online. Fill the no-obligation online form on our website, give us information on the service you desire, and have our experts come for an inspection the same day of contact. This entry was posted in Beachwood on July 15, 2013 by admin.